One year ago today I moved to Melbourne. I stepped on a plane early in the morning with every intention of being back in kiwi-land eight weeks later. However, as they do, circumstances changed. The opportunity to live here presented itself once again. And although my stomach said no, my heart and my head managed to argue their way to a yes. The first third of my time consisted of: wintry weather, exploration/orientation of the city, car purchasing, food discoveries, church hopping, a trip to Brisbane, two trips back to NZ and moving three times. As great as Melbourne was, I yearned for the comfort, smiles and normality of 'home'. The second third of my time was when a shift in mindset was required. I wasn't a temporary visitor, doing a bit of work and being a tourist. I was an Australian resident, with a full-time job and bills to pay. 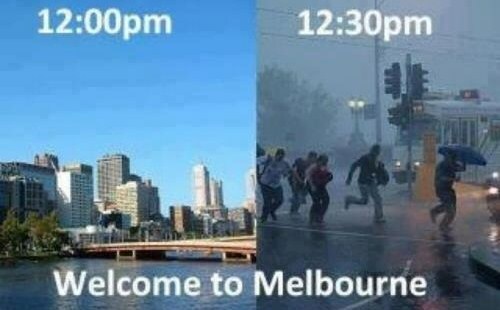 I needed to settle down and focus on being a Melbournian. These four months consisted of: finding an amazing church, making wonderful friends, learning the art of living in an oven, choosing and officially supporting a footy team, a continuation of food discoveries, two more trips back to NZ, and feeling properly settled in this foreign land. And this final third of my time so far...well...life continues to go through its ups, down and intriguing situations, but I have nothing to complain about (though I still manage to) and I am happy. Properly happy. I'm never sure what's next. I tend to live week to week. One more kiwi living in Aus. Just over a year ago I was plodding along in little ol' Aotearoa, attempting to complete a list of culinary must-do's in Auckland, and loving spending time with my beautiful family and friends. Suddenly a curve ball was thrown at me. I didn't really want to play. the photo is not too different from AUckland life really is it?? And you can totally continue your culinary exploration in Melbourne cant you? i thought Melbourne was the one city in Australia that had culture??? Yes it's true...it is similar to Auckland, but I have found Melbourne to be slightly more extreme when it feels like it. Hah! Yes Melbourne does have culture. And yes I can explore the culinary delights of this city for sure...it's just that I was doing that specific list of culinary delights in Auckland which can't be replicated...due to the fact that this is not Auckland. Great post Jo. Congratulations on one year. The photo also reminds me of Auckland. Yes, similar to Auckland. But slightly crazier.